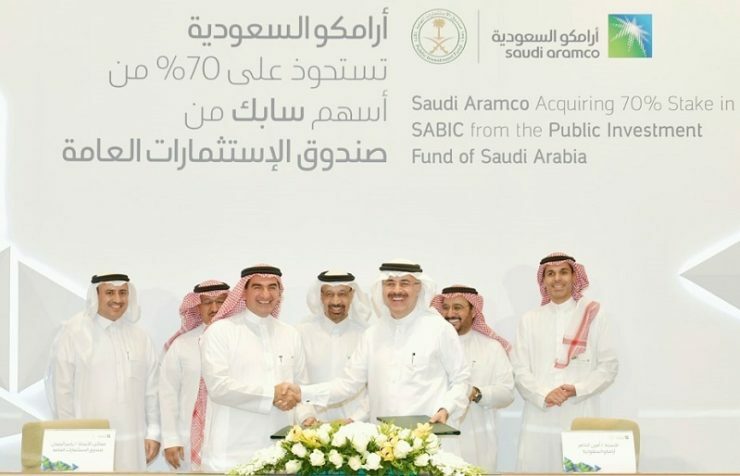 According to *Constructionweekonline news report, state-held energy giant Saudi Aramco, the developer behind some of the world’s largest oil and gas projects, has acquired a 70% stake in Saudi Basic Industries Corporation (Sabic) from the Crown Prince HRH Mohammed Bin Salman-led Public Investment Fund (PIF) in a transaction valued at $69.1bn (SAR259.1bn). The organisations signed a share purchase agreement for the transaction, which is pending select closing conditions, including regulatory approvals. PIF is the kingdom’s sovereign wealth fund, and according to data shared with Construction Week by Deloitte ME, the organisation – chaired by Saudi Arabia’s Crown Prince – was the GCC’s largest project developer as of September 2018, with pre-execution schemes worth $534bn (SAR2tn). With the Crown Prince at its helm, PIF is also a critical stakeholder in Saudi Arabia’s Vision 2030 economic diversification mandate, which seeks to reduce the kingdom’s focus on petrodollars through the generation of new revenue streams. Sabic’s remaining 30% shares, which are publicly traded, will not be a part of the transaction, and Aramco said it had “no plans to acquire” these. Why did Saudi Aramco buy Sabic? Saudi Aramco’s senior vice president of downstream, Abdulaziz Al-Judaimi, said Sabic was a “strategic fit” for the oil giant that is investing in the development of resource-efficient processes, such as crude-oil-to-chemicals technology, or COTC. Commenting on the transaction, PIF’s managing director, HE Yasir Othman Al-Rumayyan, said the transaction was a “win-win-win” development for “three of Saudi Arabia’s most important economic entities”. Al-Rumayyan added: “[The transaction] will unlock significant capital for PIF’s continued long-term investment strategy, underpinning sectoral and revenue diversification for Saudi Arabia. What is Sabic – and COTC technology? Riyadh-based chemicals heavyweight Sabic, which employs 34,000 people across its business, had a consolidated production volume of 75 million tonnes (t) in 2018. During the year, it also recorded net income of $5.7bn (SAR21.4bn) and annual sales of $45bn (SAR168.8bn), sitting on an asset portfolio worth $85bn (SAR318.8bn). COTC technology is gaining traction in the international engineering, procurement, and construction community, with companies such as the US’s McDermott backing its growth in the Middle East. Saudi Aramco and Sabic are jointly developing a COTC complex in Yanbu, which is due to commence operations in 2025. The UK’s Wood Group and America’s KBR are respectively delivering project management and Feed services for the plant, which will create 30,000 jobs in Saudi Arabia.